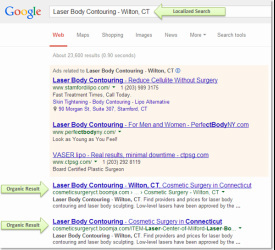 Dominate organic search results for the top keywords your prospects use when they search online for cosmetic surgery procedures in your local markets. The Boomja Network's Authoritative Plastic Surgery Portals enable you to localize your cosmetic procedure keywords in all the local markets you target to attract prospective clients in organic search results at their moment of need. 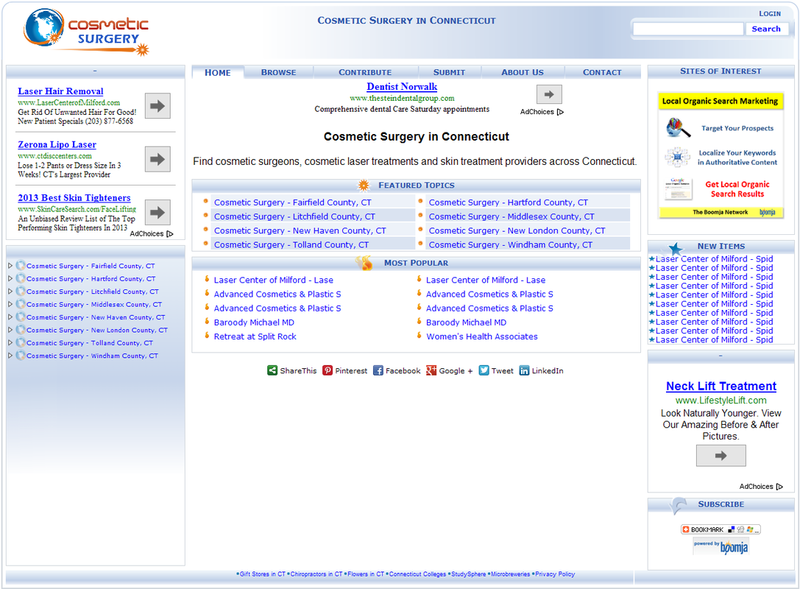 Cosmetic surgery procedure keyword listings are limited to 5 listings per city listing page.